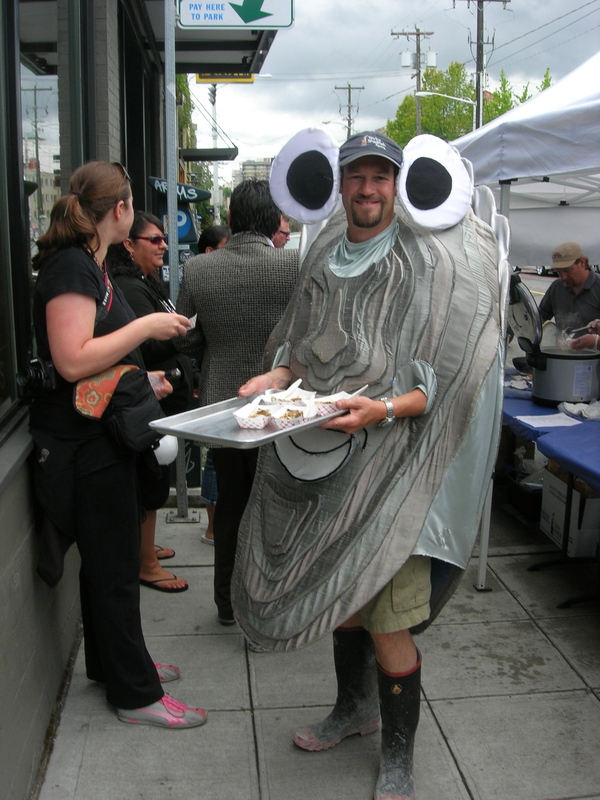 Taylor Shellfish Grand Opening and other action at Melrose Market! 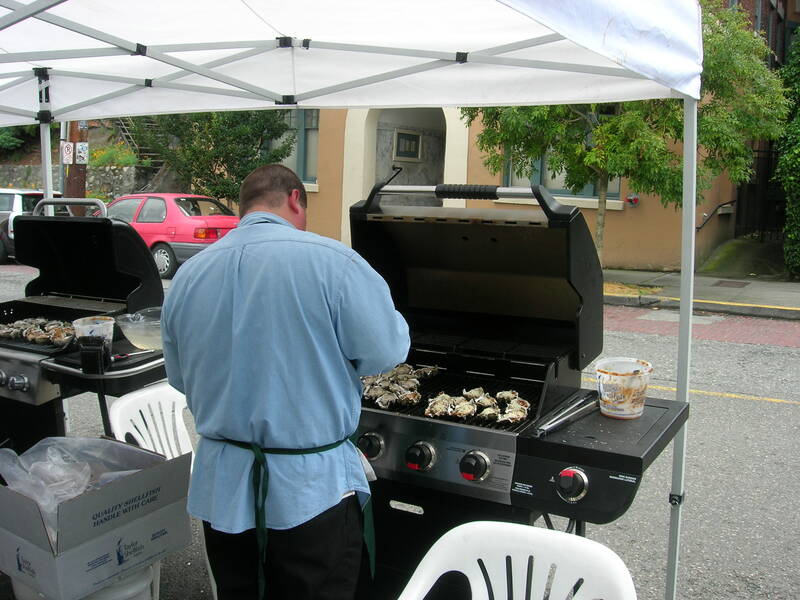 So, I actually got through the crowd into the store and bought some beautiful frozen scallops. More cheerful people in there! 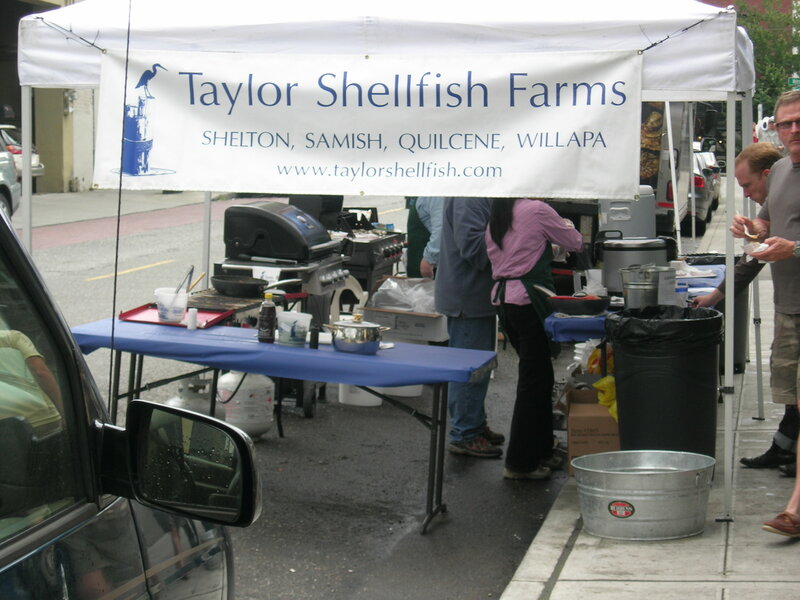 Taylor Shellfish Farms is headquartered south of Seattle in Shelton, Washington, and they also have a store up north near Samish Bay in the Skagit Valley, which is one of the most beautiful places on the globe. (Stay tuned for more on that!) But it will be super to have them here in town too. I don’t go to Melrose Market without making time to hang around and visit my other favorite shops. 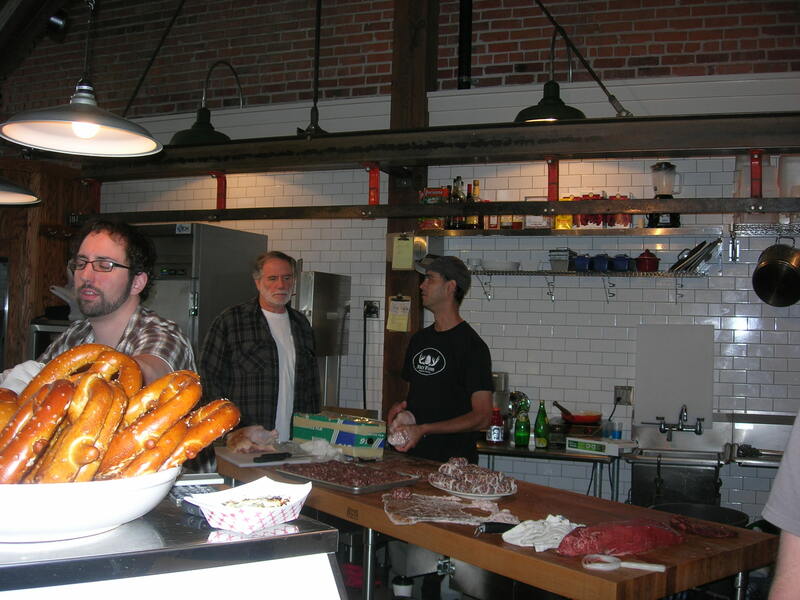 I told you a little bit about Rain Shadow Meats yesterday. Proprietor Russell Flint, known locally as a chef but also with ten years’ experience in butchery, opened up about a year ago. 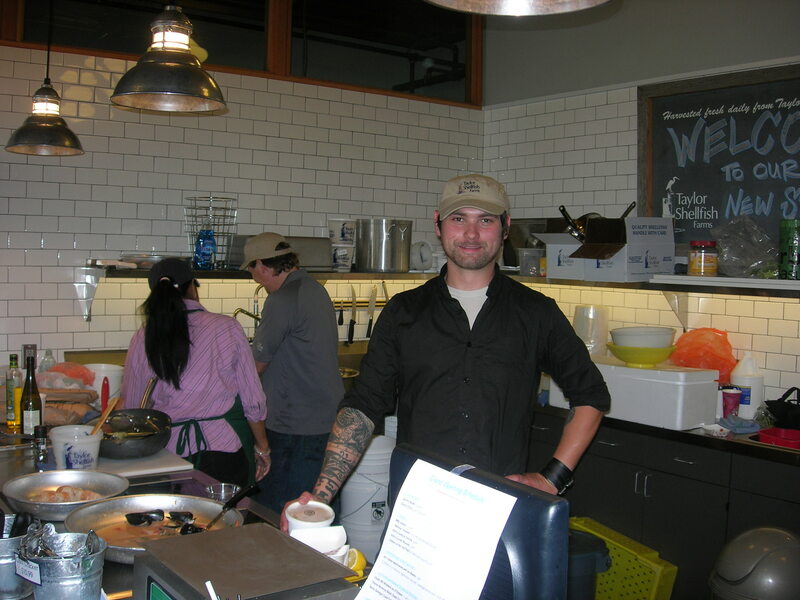 He offers beautiful meats and meat products from local farmers, labeled with the name and locale of the provider. 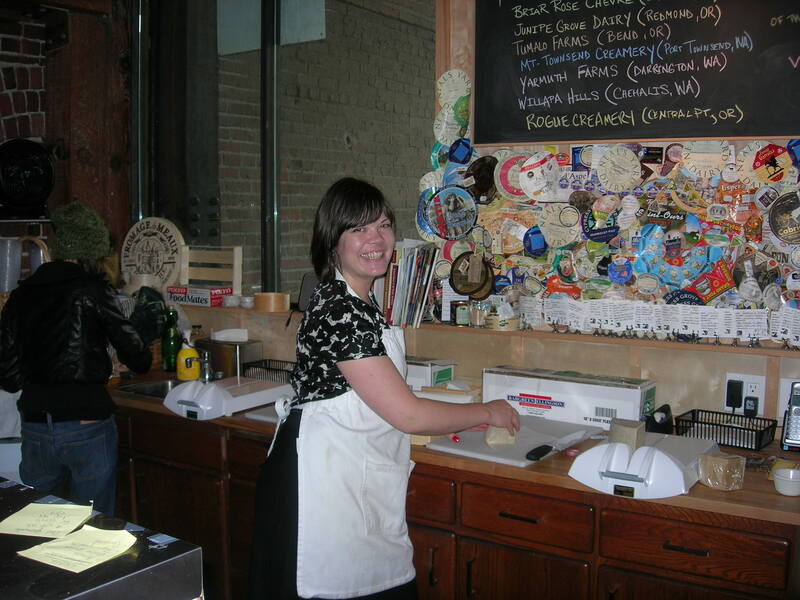 And the staff can answer any question you can think of (and the people who shop here can think of a lot of them! ).